In June 1995, Gianni Versace tells Antonio and Donatella that he is ready to reveal his sexuality publicly. Donatella has her concerns but Gianni decides to go through with it. In April 1997, Andrew decides to travel to Minneapolis to see his friends Jeff Trail and David Madson. Jeff doesn't want to hang out with Andrew at all, after Andrew sent a postcard addressed to his father, but gives him the keys to his apartment so he can stay there. Andrew asks David to marry him by presenting him with a watch. Later while out with friends, David declines the proposal. In November 1995, Jeff is shown in the military saving the life of a soldier who is being beaten for being gay. After being seen by another officer embracing the soldier, Jeff becomes scared. 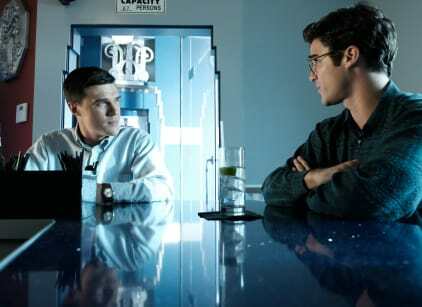 Later while out at a gay bar, Jeff meets Andrew Cunanan and they two become friends. Jeff agrees to a television interview to talk about being gay in the military where his face will be blurred. Back in 1997, Jeff comes home to see that Andrew has trashed his apartment and the two get into an argument. Andrew leaves and later calls Jeff, telling him that he took his gun. This leads Jeff to David's apartment and his impending murder.